March has been a very busy month for us especially for my daughter. Aside from taking her final exams, there's the Graduation Rites and numerous get-togethers with her classmates/ batchmates to celebrate the transition from being a sixth grader to being a seventh grader this coming school year. "I like using the Pure 'N Fresh cologne because of its fruity smell. It has a refreshing scent which reminds me of summer. Using it on my graduation day, I felt relaxed and confident that my day will be great. Congrats to all those who graduated this March and I'd like to thank all the people who helped me graduate especially my parents." 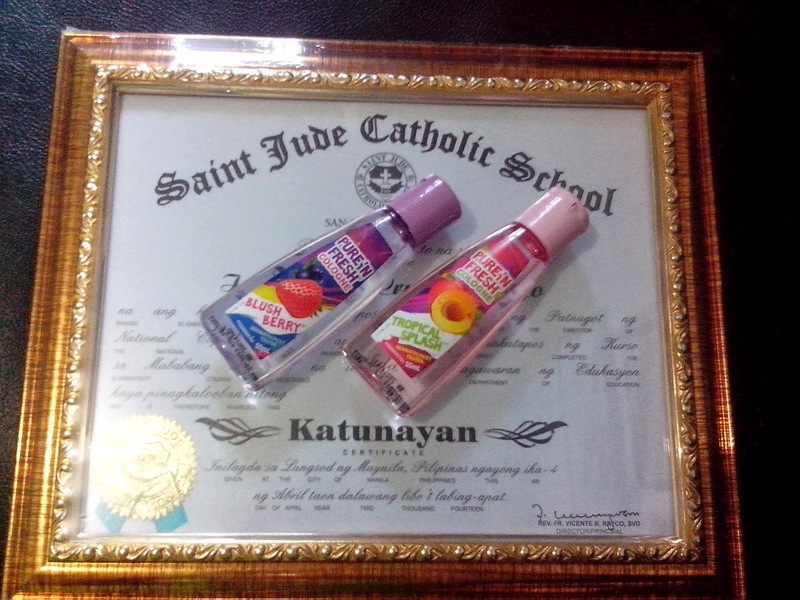 Pure N' Fresh are available in Blush Berry and Tropical Splash scents and is a product of Unilab Philippines. Watch Pure N' Fresh video here.